MEPs will this week decide how to reform the EU's common fisheries policy in order to put an end to overfishing while at the same time tackle unemployment in many coastal areas due to the decline of fisheries. Ahead of a debate today and vote tomorrow, European Parliament News have spoken to German Social Democrat Ulrike Rodust on why she is calling for radical change in her recommendation to fellow MEPs. The good thing about ending overfishing is that not only nature will benefit, but also fishermen: bigger stocks produce higher yields. 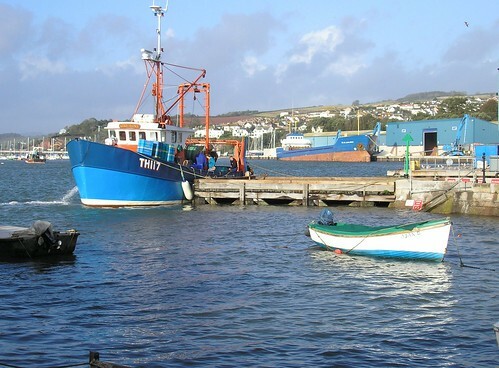 We will have to help fishermen get through the transitional period when there will have to be a bit less fishing for some species. What's more, my group tabled an amendment which obliges member states to give fishing rights preferably to traditional small-scale fishermen. This part of the fishing sector produces more jobs and uses less detrimental fishing techniques most of the times. Unfortunately, at some European coasts, there are simply too many fishermen chasing too few fish. Member states will have to reduce the number of active fishermen, but they should do this in a socially responsible way. There have been negotiations to reform the EU's common fisheries policy for more than 20 years. Will this reform finally resolve the sector's long-standing problems? Ending overfishing and discards is indeed a historical change of the EU's fisheries policy. Today the sector suffers a lot, not only because of the results of continued overfishing, but also because of cheap imports. By the way, many fishermen of the new generation support our plans. And we need the active support of fishermen. Fishing happens far out at sea, so you cannot simply rely on controls only. That's why in the future fishermen will have a much greater say through the so-called advisory councils.